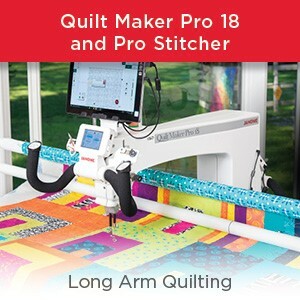 ← Why do I need a serger? Last month I shared with you a project that has been on my wish list for quilt some time – a denim quilt made entirely from recycled jeans. This month, I’m excited to share with you my finished quilt top. I’m so thrilled with how this turned out. You can read about how I prepped my jeans in my previous post. I was eager to lay out my quilt squares and get to sewing together my quilt top. Of course, never one to make it easy on myself, we are mid-main floor renovations… and have had to vacate the house during the day for the last little bit BUT never fear, I’m flexible. 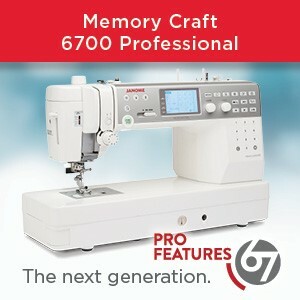 I just took my Janome Skyline S7 out into the backyard for a little sewing in the wild. LOL! 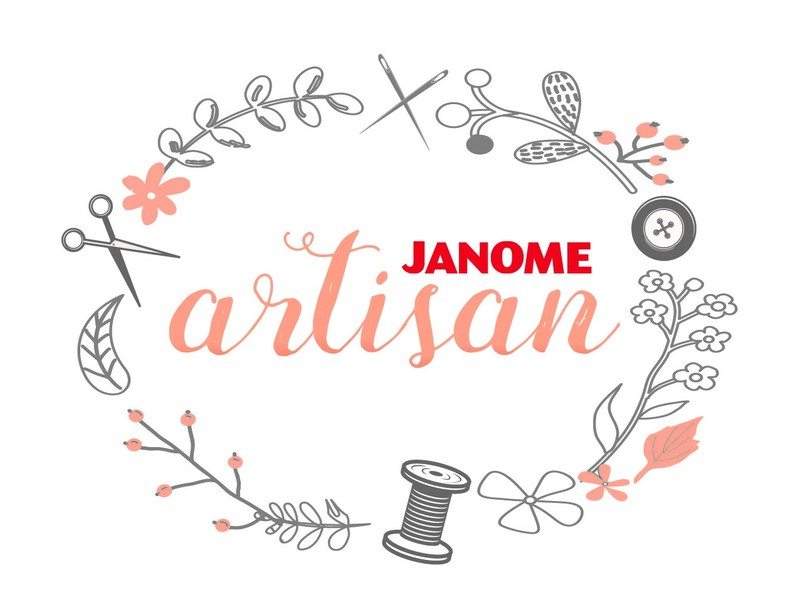 I don’t think I mentioned this little tidbit last month but the Janome Acufeed Flex (walking foot) was amazing for keeping my denim from buckling and pulling while I was quilting my squares together. This foot has become a regular on my machine. I’m just loving weathered jean indigo with a pop of colour. The little squares of fabric are few and far between but I know when the quilting is done, it will all come together. Ah, that little pop of colour. These were left over scraps that I cut into little three-inch squares quite some time ago. So perfect for this project! But wait… there’s more! (Can you tell I love a good infomercial?) Be sure to tune in next month (DYK that I post on the last Friday of every month?) and I’ll share with you my final reveal of this project – how I finished this quilt with backing and quilting. Have you sewn a quilt with recycled fabric? What’s your craziest story about taking quilt photos? Ever had your quilt blow into the water while taking quilt pics? 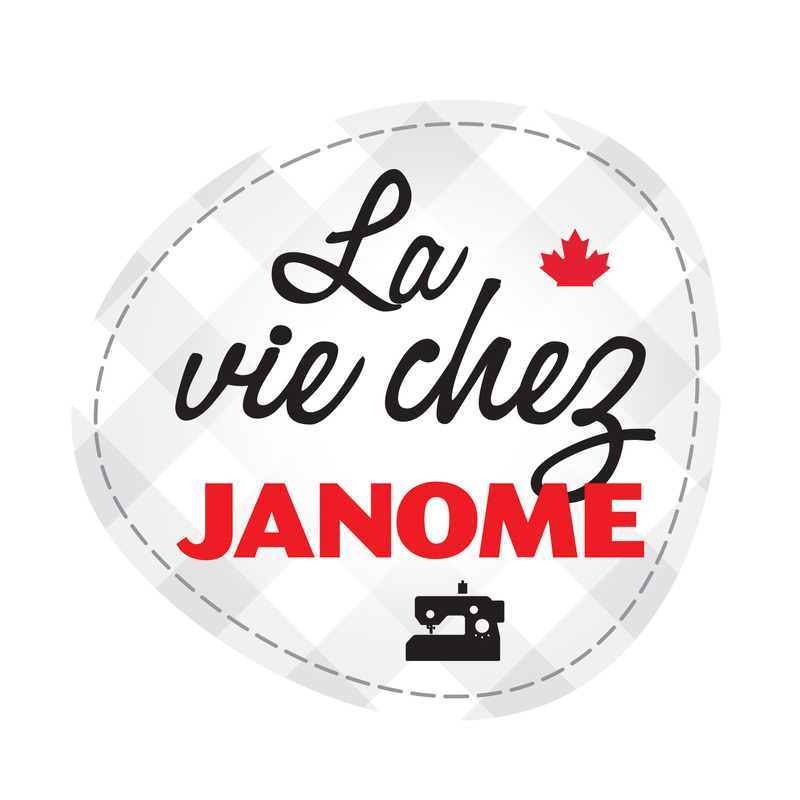 This entry was posted in JANOME PROJECT IDEA, Janome Skyline S7 and tagged Janome Artisan Trina Gallop, Janome Canada Artisan, JANOME PROJECT IDEA, Janome Skyline S7, Sewing a denim quilt with Janome. Bookmark the permalink. I Love your denim quilt! I love that a) it didn’t end up in the creek! and b) the look of the final quilt! I’ve been collecting used jeans since seeing your first article for a quilt for my eldest grandson who is 14. Instead of the floral pop squares, I’ll use a contrast like a plain red or a plaid. I don’t have enough pairs yet, so I’ll have to talk to a few more people! I’m following this with GREAT interest! LOVE that you recycled denim and oh, those little “pops” of color. Heart, be still! 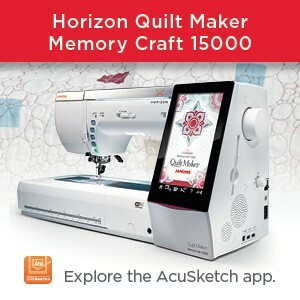 I MUST hear the story about having your quilt top blow into the water sometime…. Yes, we love what Trina produces and then writes about in great blog posts for us. I worked this last weekend with recycled denim – little 3 flowers and a cross body bag for my daughter’s birthday. I will post in due course. The Accufeed Flex foot has been a game changer for me! I love, love, love it. I find excuses to use it. Haha! I would think it would make sewing with denim so much easier. Looking forward to reading more about this quilt.